While many healthcare providers have been quick to adopt an EHR, some physicians have been more reluctant. Here are 10 important ways that an EHR will benefit physicians. 1) Accurate data capture: Handwritten notes cannot accurately capture patient information because of illegible writing. EHR solutions allow doctors to enter data as accurately as possible, ensuring no mistakes. 2) Safer prescriptions: Another consequence of handwritten notes is the potential for errors in prescriptions. When a note is entered electronically, there is little chance of a pharmacist misreading it. 3) Ease of reporting: Writing a patient report using handwritten notes can be time-consuming. 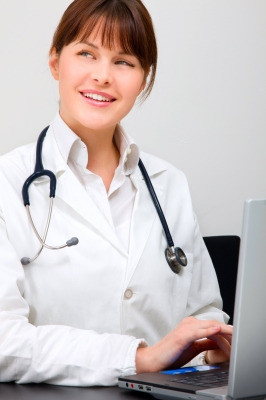 EHR solutions allow physicians to generate reports automatically. Information is collected seamlessly, allowing for quick and comprehensive reports. 4) Transferability of files: When a patient moves, their medical records should travel with them. Instead of causing delays, electronic records can be sent immediately and at virtually no cost, leading to faster care and better patient outcomes. 5) More time spent with patients: Handwritten notes must be cataloged and retrieved using an old-fashioned filing system. This can take time and lead to errors. Physicians who use EHR never have this problem, leading to more time spent treating patients. 6) Automated workflow: EHR solutions also save physicians time in other ways. An EHR can provide a seamless file for tracking all patient procedures. In addition, an EHR can give alerts when a patient has an upcoming test, ensuring that physicians are up to date on all aspects of their patients' care. 7) Increased revenue: Payroll is a major expenditure for most practices. An EHR allows physicians to spend less on human resources, leading to increased revenues. With an EHR that maximizes efficiency, staff are not needed for overtime filing. Staff can be reallocated to where they are most needed. 8) Integrated office technologies: An EHR allows physicians to use a single system for patient records and all other digital equipment. The result is a smooth workflow that is easy to use. 9) Work from home: Because an EHR allows doctors to access files from anywhere, physicians can maximize their efficiency by reviewing patient records at home or on vacation. All you need is an internet connection. 10) Increased patient satisfaction: Patients who have more face time with doctors, who receive quality care and accurate assessments are happy patients. An EHR allows doctors to answer patients' questions immediately and accurately. EHR solutions benefit physicians in a variety of ways. Contact HIS for more information on adopting electronic records.